Since the early 1990's the SUV has been a family favorite in Washington. Generally, SUVs fall into five categories: Small SUV, Midsize SUV, Full-size SUV, Hybrid SUV and the new Crossover. Each has features and benefits to support a variety of lifestyles. Lucky for you, regardless of the category, The Olympia Automall offers the full spectrum of the very best new and used SUV's and Crossovers available. At its core, the Olympia Automall is your best source for new and used SUV’s. You have 9 Dealers and 8 Brands to choose from at one convenient location. When you buy a new or used SUV or Crossover from the Olympia Automall you’re not just getting a great deal, you’re buying peace of mind. You can feel confident you'll find what you're looking for at the Olympia Automall. In fact, we have so much to offer when it comes to the best in new and used SUV's and crossovers you may get overwhelmed. Let us help you. The knowledgeable and helpful staff at the Olympia Automall stands ready to cater to your every need. We'll take the time to listen to your situation and help you narrow down your options to find your SUV. An SUV is not right for everyone; but for the right person, it's the perfect fit. You've done the research. Now it's time to take action. Take home your SUV today from the Olympia Automall. You can find us conveniently located at 2125 Carriage Drive SW in Olympia, just off I-5. Click here for a map and directions. Come down today and take advantage of our amazing specials and outstanding customer service. The Olympia Auto Mall is your source for new and used SUVs and crossovers in your area. Visit our showrooms and experience the exciting new 2018 models! 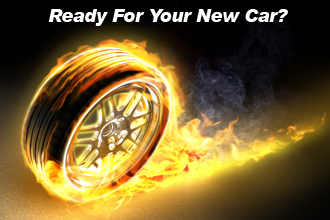 The Olympia Auto Mall is your one stop shopping place for all your automotive needs. Proudly serving Olympia, Tacoma, Puyallup, and surrounding areas!